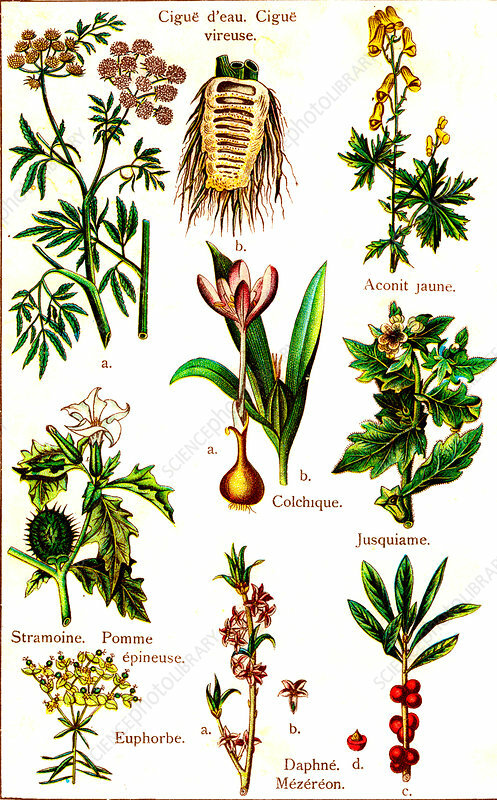 Poisonous plants, 1881 illustration. From top left: water-hemlock (Cicuta virosa), yellow monkshood (Aconitum anthora), crocus (Crocus sp. ), henbane (Hyoscyamus sp. ), jimsoneweed (Datura stramonium), spurge (Euphorbia sp. ), spurge laurel (Daphne mezereum).